Dalaman is an area of great natural beauty located in the west of Turkey. Lying between the mountains and the sea it is a peaceful spot with great beaches. 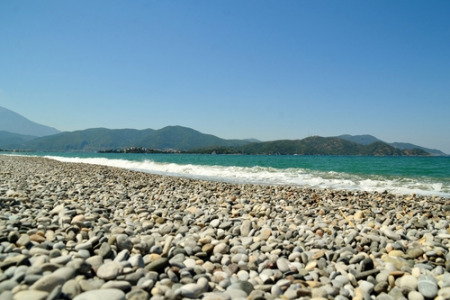 Dalaman holidays are ideal for those looking for a relaxing break on sandy shores. Recreational activities include water sports for the more energetic visitor. Holidays to Dalaman can be taken from early spring to late autumn as the season is long and summer sun is guaranteed. The area is very popular with families with young children as the beaches are safe, the atmosphere peaceful and friendly, and nightlife is centred round hotels. Local cuisine is excellent and caters for even the most pernickety of palates. Holidaysin Dalaman and the surrounding area offer insights into the traditional Turkish way of life and glimpses into the past with archaeological sites dotted about the countryside. Some of the most popular resorts in the area are Fethiye, Icmeler and Dalyan. Each have their individual qualities that recommend them so you must choose which best reflects your interests. Our cheap Dalaman holidays will surely be of interest. Search now to find our latest Dalaman holiday deals.